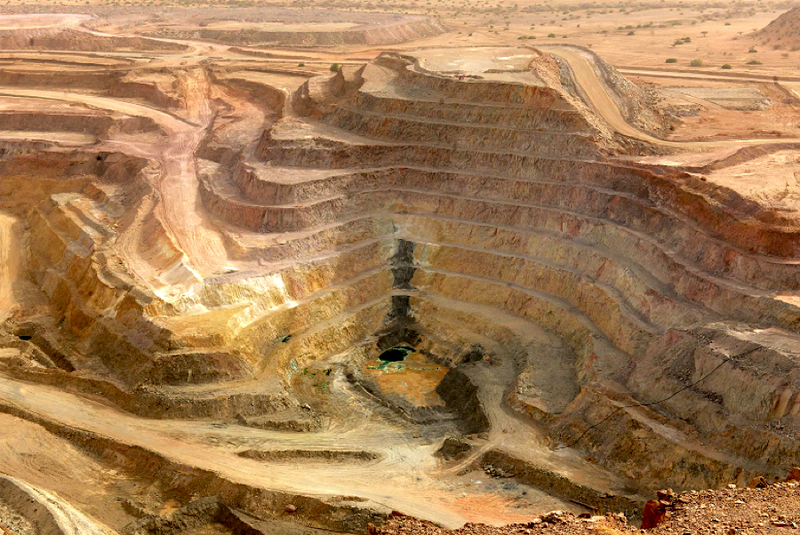 Canada’s Nevsun Resources (TSX, NYSEMKT:NSU) is extending the life of its flagship copper-zinc Bisha mine in Eritrea to the end of 2022 — 18 months later than the planned end of operations announced by the company last year. The open-pit extension would add 3.3 million tonnes of high-grade ore to the mill, resulting in additional production of 470 million pounds of zinc and 52 million pounds of copper, the company said. The expansion also will give Nevsun time to advance assessment of the Asheli and Harena underground deposits at Bisha, and to consider further open-pit extensions. Expansion would result in additional production of 470 million pounds of zinc and 52 million pounds of copper during the extra 18 months of mine life. In August last year, Nevsun halved Bisha’s mine life to four years due to the operational risk of the original large open-pit cut-back. Since that time, Bisha has increased mining rates and significantly improved metallurgical performance, while metal prices have remained strong, leading the company to re-visit the larger cut-back option. The planned extension accesses a portion of the previously envisaged cut back with an additional 3.3 million tonnes of ore over the existing reserve and assumed recoveries of 70% for copper to copper concentrate and 80% for zinc to zinc concentrate, the Vancouver-based miner said. A group of Eritreans has claimed they were forced to work at Bisha, although not for Nevsun directly, but for government-owned subcontractors that built the mine. As conscripts in the country's national service system, they said they were forced to work at Bisha, although not for Nevsun directly, but for government-owned construction firms subcontracted to build the mine. The company, however, has denied all allegations saying they its indirect 60%-owned Eritrean subsidiary, Bisha Mining Share Company, responds to contractual commitments that prohibit the use of national service employees by its contractors and subcontractors. Eritrea’s national service program was likened “to slavery in its effects” by the United Nations in 2015, an allegation the government rejects. Ruled by a former Marxist guerrilla leader since its independence from Ethiopia, Eritrea sees conscription as crucial to its security. Last year, the British Columbia Court of Appeal upheld a 2016 ruling by the B.C. Supreme Court that dismissed an appeal by Nevsun Resources to have the case against the company moved to the Eritrea. Sixty-per-cent of Bisha, which is located 150km west of Asmara, is owned by the Canadian miner, while the other 40% belongs to companies run by the Eritrean government. The mine started operations as a gold-silver producer in 2010 and has 28 million tonnes of measured and indicated resources and 31 million tonnes of inferred within 20 km of the existing mill, according to the company. Earlier this year, Nevsun was the target of unsolicited bid from fellow Canadian miners Lundin Mining and Euro Sun Mining, which the company rejected.